QSTX is a integrated enterprise with experienced R&D, production, sales and management team. High-quality staff, excellent management team and more than 5600 square meters of standard workshop for communication products, advanced equipment, all of this allows us to minimize overheads, Improve work efficiency, maintain the highest standards of product quality and customer service, and offer the fastest delivery times in the industry. QSTX is located in the Economic Zone on the western side of the Taiwan Straits, Quanzhou. where is the biggest two-way radio industries bases in the world. It has the advantageous industry chain integration, material purchasing, human resources, logistics supporting, national policy and other advantages, which maximizing save the cost of products. We implement the cross-regional purchases not only optimizes the cost, but also improve product quality and competitiveness. QSTX's products are dedicated to the perfect matching at the beginning of its design, with large number of mould library. Most of the products have been verified by the market, our ISO9001:2000 quality and management system, ensuring that each product from the purchasing of materials to the product testing is beneficial to the end user's interests . QSTX first use the ERP system in the industry, seamless collaboration to improve efficiency. we has large number of raw materials and sub-assembly products inventory, and the in-house injection machine workshop, are support huge order production ability. This means when we receive the order, we may have finished much of the production work , efficient production line can assemble and ship the product within 3-7 days, the biggest order we also deliver in 3 weeks. Quanshun Communication Technology Co. Ltd. (QSTX) was established in 1991. We are one of the earliest professional two-way radio and accessories manufacturers in China, and now one of the top radio batteries providers as well. QSTX is dedicated to manufacturing and marketing of battery packs, chargers, antennas, audios and carriers for two-way radios. We continue to develop and improve our products based on the needs of users. Our high-quality products and services are widely used in public utility, public security and transportation industries as well as businesses, small and medium enterprises, and personal users. QSTX has an experienced sales team, R&D team and state-of-the-art manufacturing facility. We continue to integrate several sections of the organization in order to maximize savings on management costs, improve efficiency, product and service quality. We take pride in providing high-quality and cost-effective products and offer the fastest delivery lead times in the industry, which is why we have a very high market share. QSTX pay close attention to market trends, actively explores digital communications products and new materials technology to be applied in product update and development. We aim to become the best provider of communications products and a global influential industry leader. 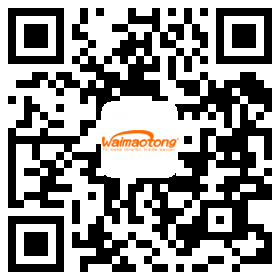 Company Name:FUJIAN QUANZHOU QUANSHUN COMMUNICATION TECHNOLOGY CO., LTD.